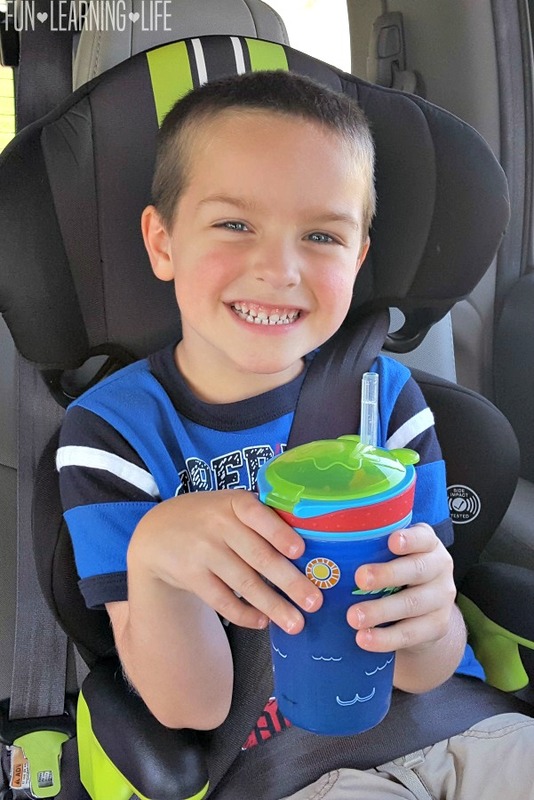 5 Ways To Make Traveling With Kids In A Vehicle Easier! 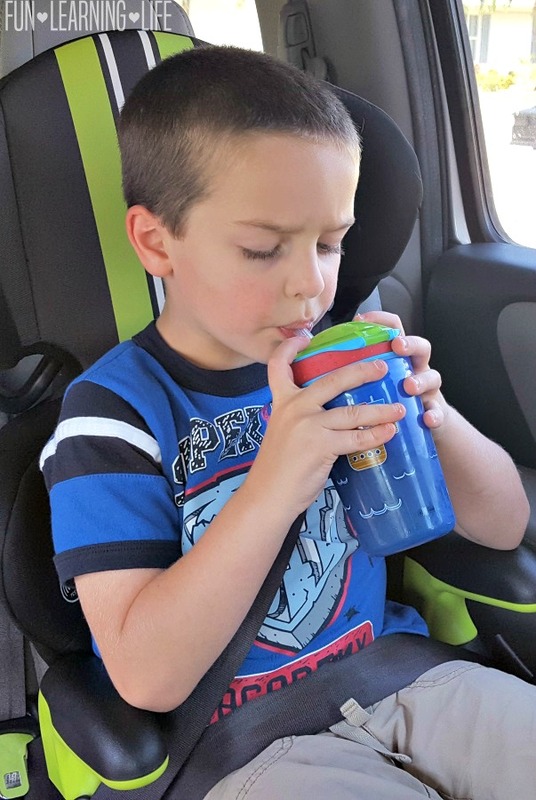 A special thank you goes out to Nuby for inspiring this post “5 Ways To Make Traveling With Kids In A Vehicle Easier” by providing my kids with a Nuby Snack N’ Sip, opinions expressed are that of my own. 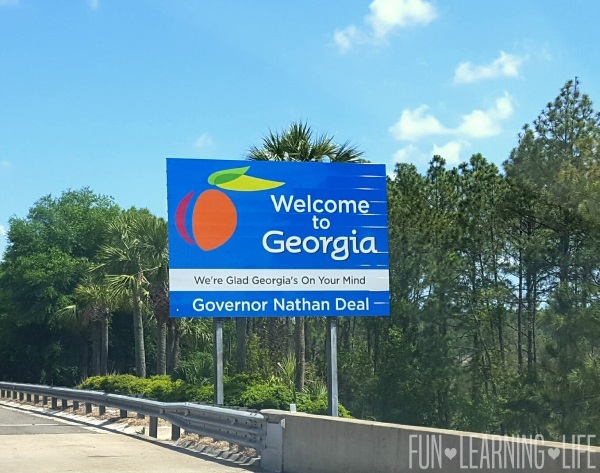 My husband and I were planning an upcoming spring break vacation to Southern Georgia and North Florida. We had already booked our hotel rooms, and started the process of deciding what we are going to do as well as how we were traveling to get there. Since we were in driving distance of both of these destinations, we decided to take our SUV. However, we needed to be as efficient in our packing as well as tried to Make Traveling With Kids In A Vehicle Easier! So after returning from our trip, here are a few of my tips for those also venturing out on the road this year! We got up as early as possible and drove while it was still dark out. Our kids were not quite awake, so they just laid back and relaxed. Be sure to also bring along a blanket or lovey to encourage naps along the way. Hopefully this way they wake up refreshed and in good moods. 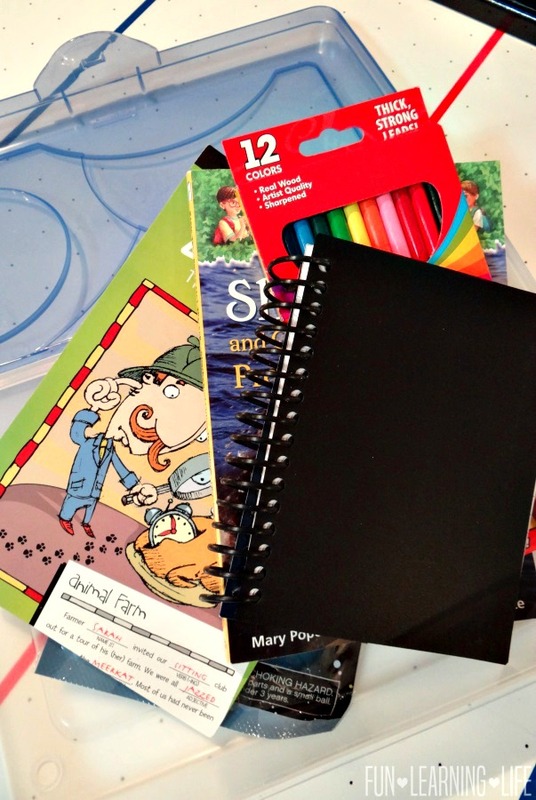 I brought along coloring books and also added note pads, crayons, books and mini block sets to their busy boxes to keep them entertained. Here are a few examples of Travel Busy Box Ideas I have created in the past. If your children use electronic devices, confirm they are charged as well as be aware of how much data you have available for them to use. 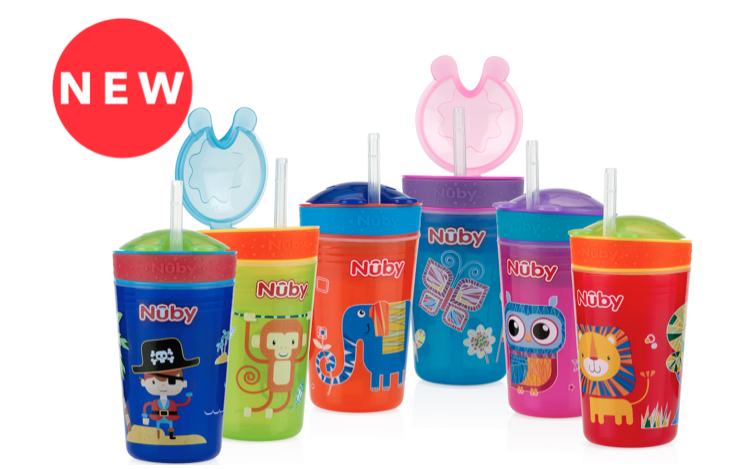 Nuby has these awesome cups that also come with a snack compartment called the Snack N’ Sip. These are convenient for younger kids to help avoid a mess, as well has hold items like mini pretzels, Goldfish, as well as fruit. The Nuby Snack N’ Sip is intended for kids 12 months and up and contains active sippeezTM. It holds up to 9 oz / 270 ml of liquid and 4.5 oz of dry snacks. 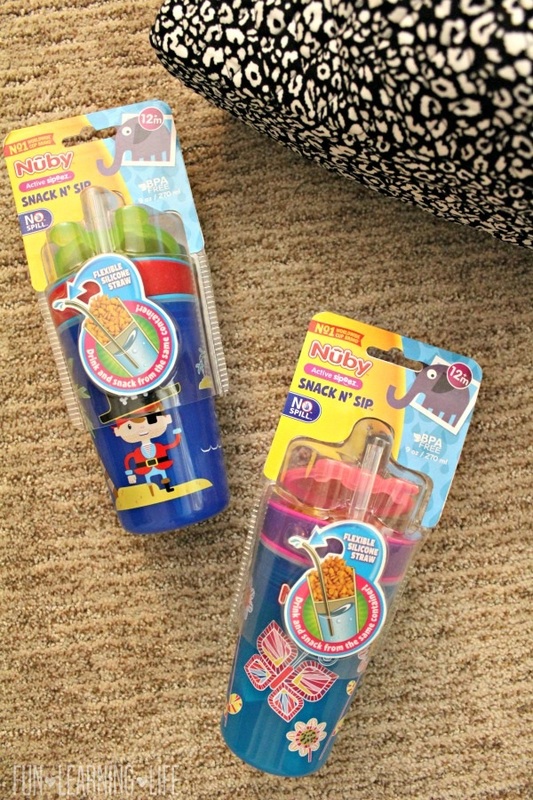 It also has a No Spill 100% soft silicone flex straw and is BPA FREE. Not only did my 4 year old enjoy having this container for our early morning trip, but my 8 year old daughter loved having access to a snack and milk before it was time to stop for breakfast. We made sure to visit the Georgia Welcome Center to grab fun photo opportunities as well as the Florida one to try out orange juice. Another option is to time your stops near places you want your family to explore. This is a great way to sight see, grab a bite to eat, or take a break from a long road trip. Although my kids have outgrown diapers, we still have paper towels and wipes that are easy to grab. 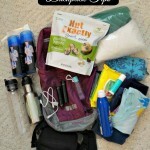 I suggest keeping a small bag with baby and toddler essentials handy and not packed away. In addition, bring along a couple plastic bags just in case you have a dirty diaper or one of your kids starts to feel nauseous. 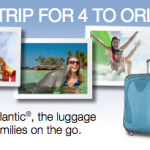 Have additional tips for Traveling With Kids? Please share them in the comments below! I hope these tips to Make Traveling With Kids In A Vehicle Easier come in handy for your family! Look for the Nuby Snack N’ Sip at retailers like Amazon, Babies R Us, Walmart, and Target. *Participates must be 18 years or older to participate and live in the United States. Odds are based on the number of entries, and by participating, you agree to these terms and the laws set forth by your individual state. Entries will only be accepted through the Rafflecopter Form, and Fun Learning Life is not responsible for disruption of the page or service which could cause problems with entering. The winner will be contacted through email (make sure you check your spam or junk mail) with the Subject line “Nuby Prize Pack Winner”. Shipping information, including email, phone, and address will be collected at that time. The winner has 48 hours to respond, after that an alternate will be chosen, and so on and so forth. Fun Learning Life does not sell personal information. The prize will be fulfilled by the PR Firm. Fun Learning Life does not share information with 3rd parties unless specifically expressed in a specific promotion or giveaway. This giveaway is not associated, nor sponsored by Facebook. 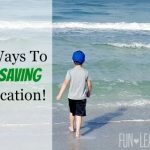 Easy Ways To Start Saving for Vacation! Give yourself plenty of time for stops and attending to kids. Don't rush through everything and make it stressful on everyone. Roll with the punches. DVDs. It's the only way to get peace on a drive of more than two hours. I always have car games to play with the kids. My kids carry their tablets on road trips. We make sure they are charged before the trip. Each kid has their own set of headphones and a backup battery pack. This means a quiet trip and no fighting. Always have plenty of snacks. Movies! It is our saving grace for long trips! My kids have a travel pack for the car. We put in snacks, drinks, coloring books/crayons, reading books and their fave stuffed animal for napping. We always bring a surprise activity for the carride. Always keep wipes in the car and we have always made sure to get something new that can be played in the car. We also like to have a fun bag that every so many miles we reach in and good either a snack or a silly little toy or with older kids we put goofy things like empty candy box as a gag one. Make sure to have plently of games/snacks to keep kids entertained and happy. I always bring a Kindle to help fend off boredom. Lots of things to keep them busy... snacks, car games, DVDs and books. These are great tips! I find that snacks and coloring books occupy kids for a while. Make lots of stops at parks so they can run around. Always pick an extra outfit or two, and have wet wipes handy. I take along games and activities to keep them busy. We bring a cooler for food and find monuments along the way to our destination to check out and move around a bit. we plan park stops to get out and run so the kids can use up some of their energy. it works for us. I try to travel when they will sleep so that there will be no fighting. Lots of snacks and activities keep my kids occupied. Recently, I started purchasing window clings from the dollar store and my little ones love to play with them on the backseat car windows - occupies them for hours! Plan your trip times around nap times if you are only traveling one or two hours! Audiobooks can be great to have. Thanks so much for the chances to win. Pack all your needs in advance! 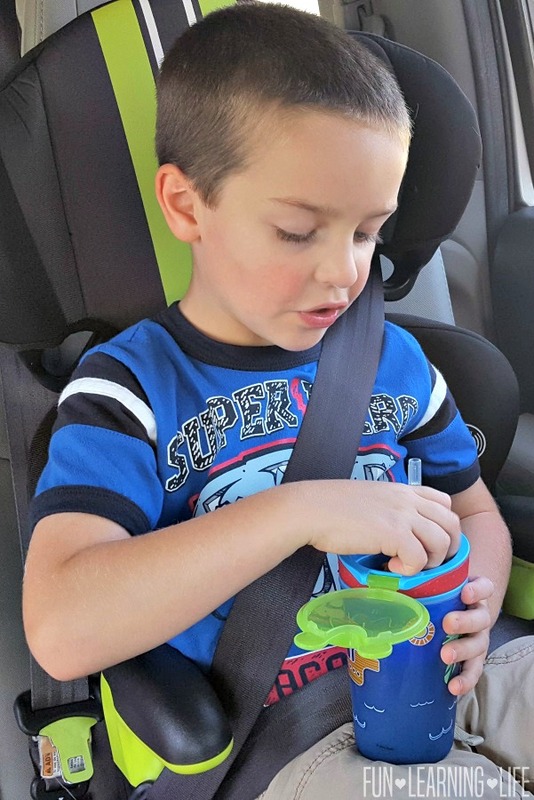 Always pack snacks and drinks, make sure the kids have a potty break before they leave, play games in the car like iSpy and the license plate game! Bring tablets. Brain games, coloring books and snacks work for us most of the time. I always have necessary items available: wet wipes, trash bags, water, toilet tissue, soap. You never know when you will need them! when we were kids, we did a lot of road tripping. What I remember made it fun, was my mom would buy us special things that we only got on trips. One of these was those large coloring books that came in a bag with markers/pencils/crayons. Remember those? We loved them. Also, traditional games that are magnetic so you can't loose the pieces.